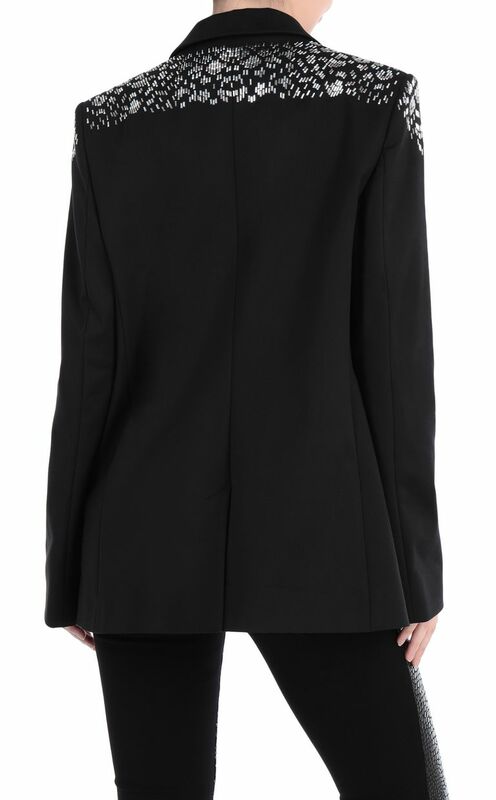 Elegant black jacket with contrasting shiny lapels. 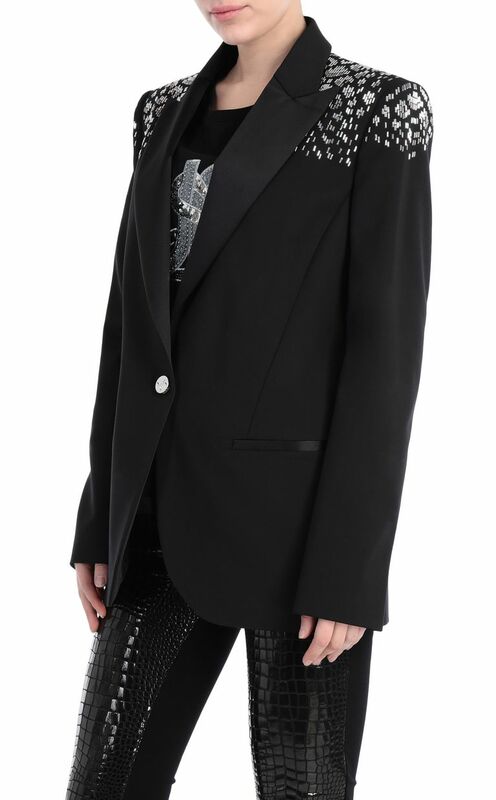 Gleaming studs in a python pattern on the upper half of the garment give it a glam-rock touch. Flat pockets at the front and central closure with button.